Woolwich is a Maine town on the east side of the Kennebec River — approximately twelve miles from the Atlantic Ocean. The town is bordered by waterways. 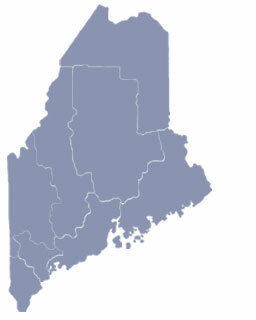 On the south and east are the Sasanoa and Sheepscot Rivers and Montsweag Bay. Merrymeeting Bay on the northwest is the confluence of five rivers, the Kennebec, Androscoggin, Abagadasset, Cathance, and Muddy — flowing in from the north and west. Together they continue on as one waterway to the sea. The town name Woolwich came from Woolwich, England. 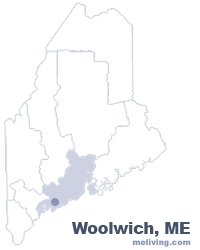 To share any Woolwich, Maine information with us, please contact us. Learn more about advertising in MELiving.